As a school psychologist, Georgia’s mother Anya should be used to dealing with scared adolescents. However, it’s very different when the girl who needs help is your own child. Meanwhile, Georgia’s father is wracked with a guilt he can’t share; and when Zac, Georgia’s younger brother, stumbles on an unlikely truth, the family relationships really begin to unravel. family home who will leave her running through the countryside into terrible danger. Can the Turner family rise above the lies they have told to betray or protect one another, in order to fight for what matters most of all? While crimes are committed in this novel, not the least the hit and run that puts Georgia’s cousin Sophia into hospital in a coma, crime really isn’t the central point of this novel. It is more about the gaps that grows between members of a family: between husband and wife, mother and daughter, when life is too busy, when you just don’t talk. 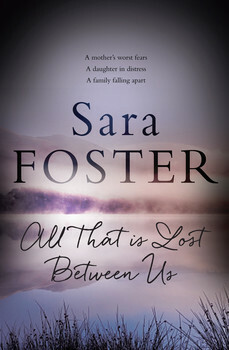 Georgia finds someone who loves running just as much as she does, but she keeps her new relationship hidden from her family and friends, and then her world falls apart when she realises who he is. She has got herself into a situation she doesn’t know how to get out of. A very readable novel, with considerable appeal to young women, who will empathise with Georgia’s situation. the original editors of the bestselling Kids’ Night In series, which has been raising money for the charity War Child since 2003.